Hello, Ideas for the Home by Kenarry™ friends! 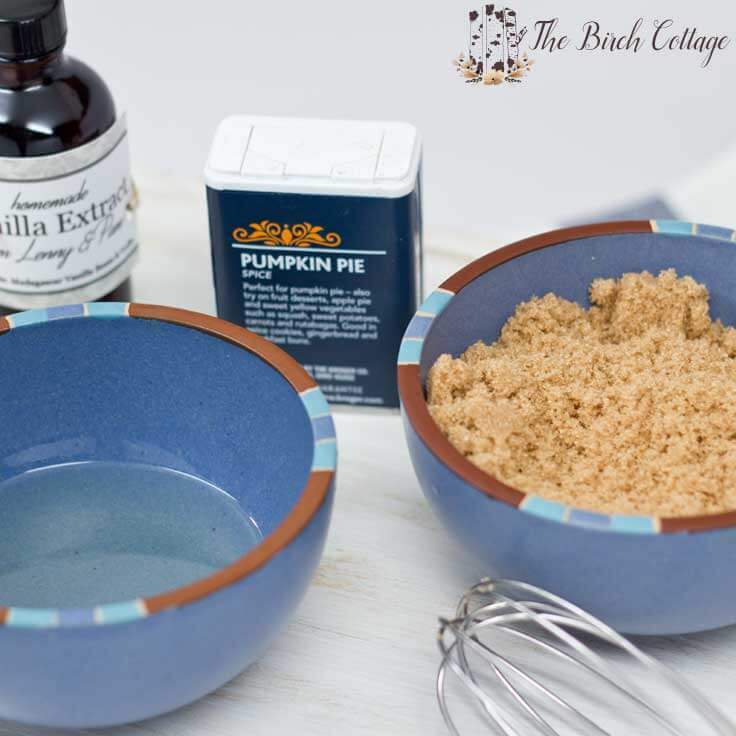 I’m Pam from The Birch Cottage and I’m back again this month to share this quick and easy Vanilla Pumpkin Pie Spice Sugar Scrub with you. 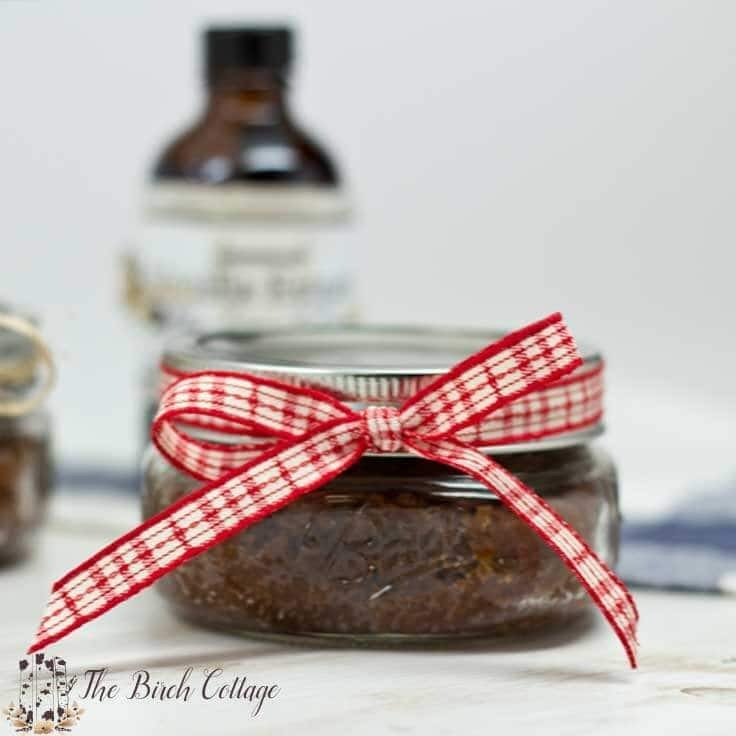 Last year for Christmas I made a DIY Sugar Scrub that I gifted to family and friends. 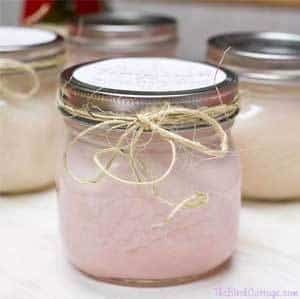 My DIY Sugar Scrub was made using Dawn Hand Renewal with Olay Dish Soap and Sugar. It was easy to make and it works really well. 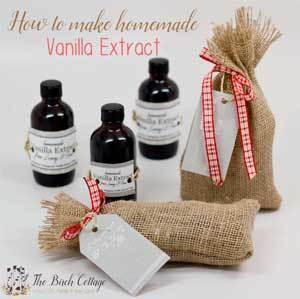 It’s often times referred to as “gardener’s scrub” because it cleans, exfoliates and softens all at the same time. It’s one of those gifts that is great for just about any occasion and there’s even a scent for everyone on your list. 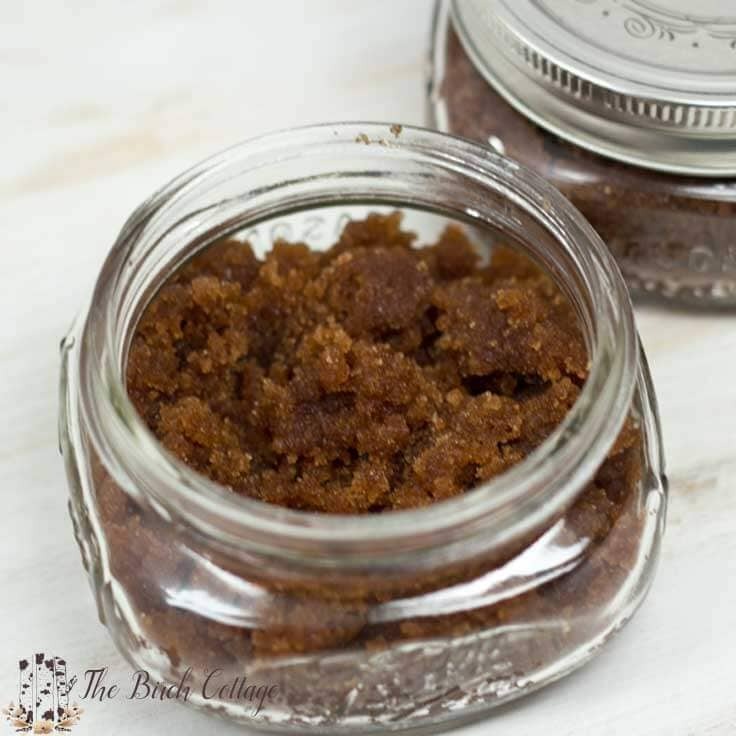 Since the Dawn sugar scrub was such a big hit last year as a DIY homemade Christmas gift idea, I thought I’d share this Vanilla Pumpkin Pie Spice Sugar Scrub with you this year. 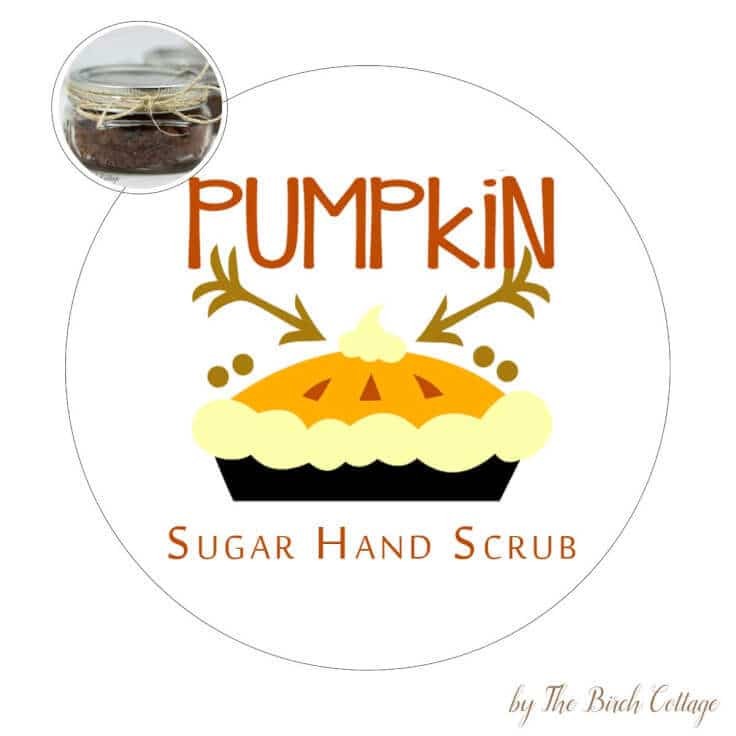 This Vanilla Pumpkin Pie Spice Sugar Scrub is made with brown sugar, vanilla, pumpkin pie spice and coconut oil. 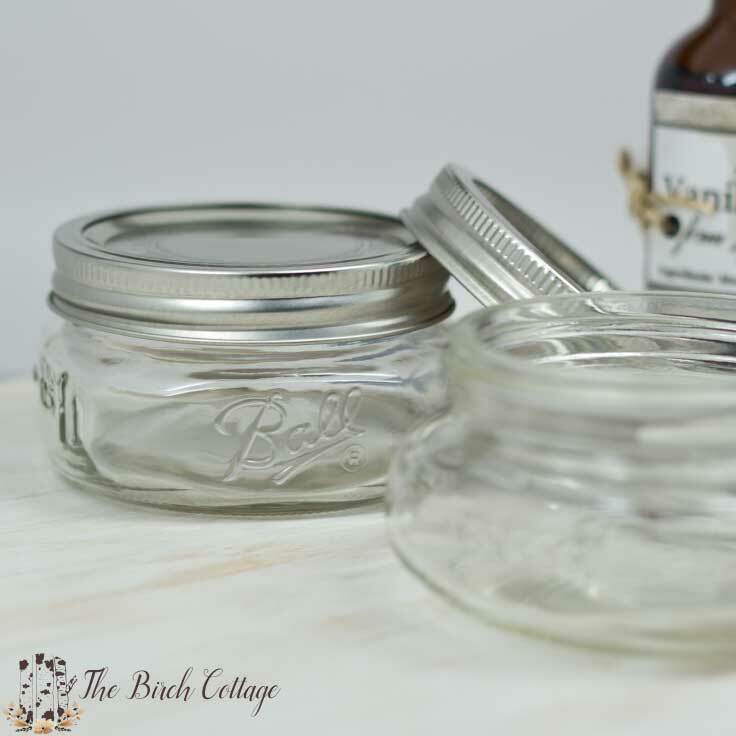 The brown sugar is a great little exfoliator, while the coconut oil serves as the natural moisturizer and the vanilla and pumpkin pie spice simply make the sugar scrub smell like autumn in a jar. 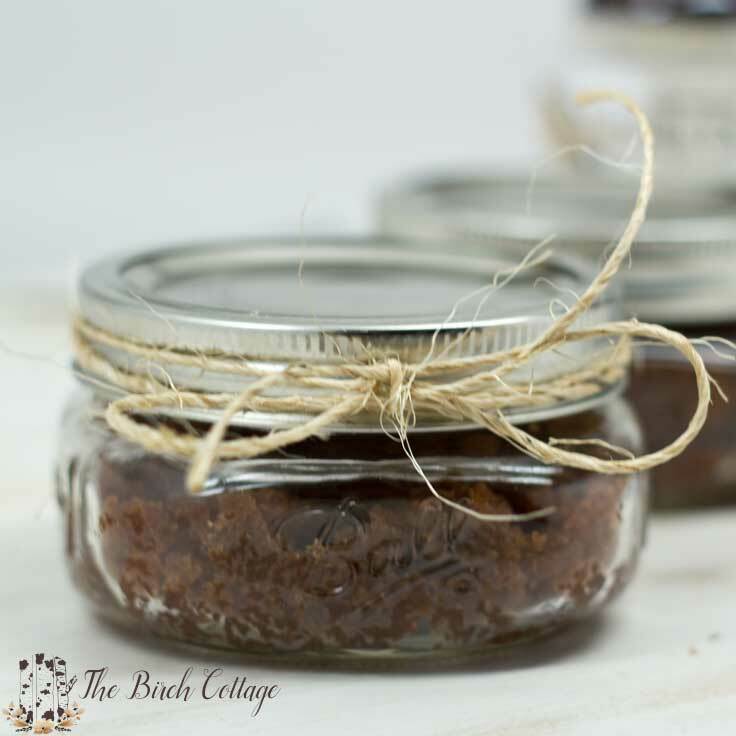 This Vanilla Pumpkin Pie Spice Sugar Scrub would make the perfect hostess gift for Thanksgiving or the perfect Christmas present for just about anyone on your list. And, did I mention that it’s super easy to make? Are you ready for these instructions? I mean, you better pay close attention. Here goes! Mix all the ingredients together in a large mixing bowl until well blended (like 10 seconds). 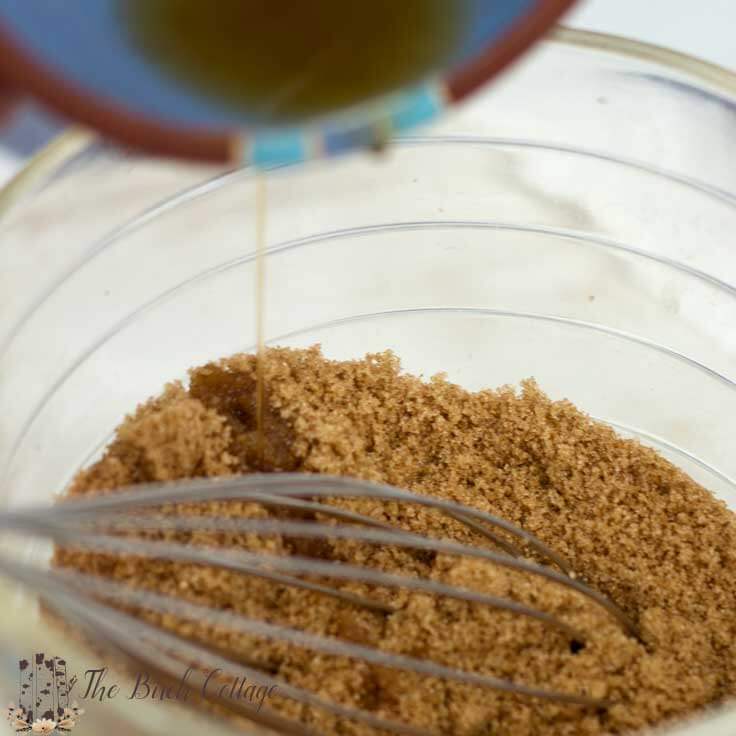 To break it down a little more for you, I started by pouring 1 cup brown sugar in a mixing bowl. I then added the 2 teaspoons of pumpkin pie spice and blended together. Next, add in the 1/4 cup of melted coconut oil and mix together. Then pour into an 8 oz jar or container. Done! 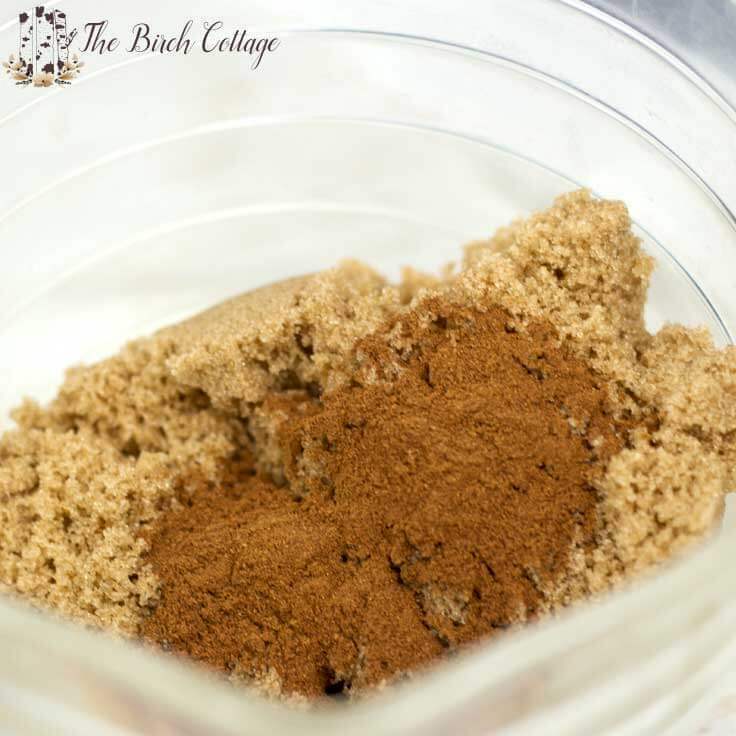 If you like pumpkin spice anything and the hint of vanilla, you’re absolutely gonna love this Vanilla Pumpkin Pie Spice Sugar Scrub. 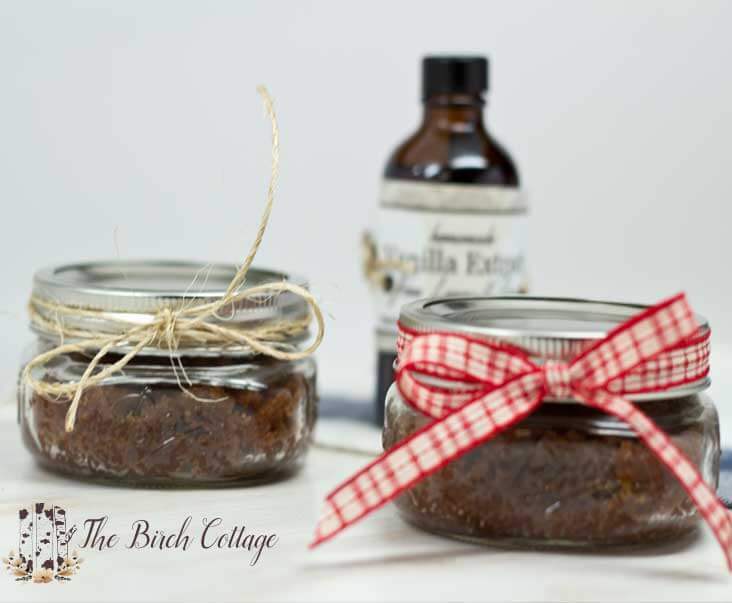 And, guess who else is gonna love this sugar scrub? Absolutely anyone you gift it to! I actually have a jar of Vanilla Pumpkin Pie Spice Sugar Scrub in the bathroom and another jar in the kitchen. Each time I open the lid, it just smells like sugar cookies and pumpkin pie in a jar. You can print out the labels on card stock or a full sheet of labels. If you’re using card stock or paper, be sure to cut on the outside of the circle or else your label won’t fit snugly under the ring. If you’re using adhesive labels, it’s safe for you to simply cut along the circle or inside the circle. Then you’ll affix the label to the lid and screw on the ring. 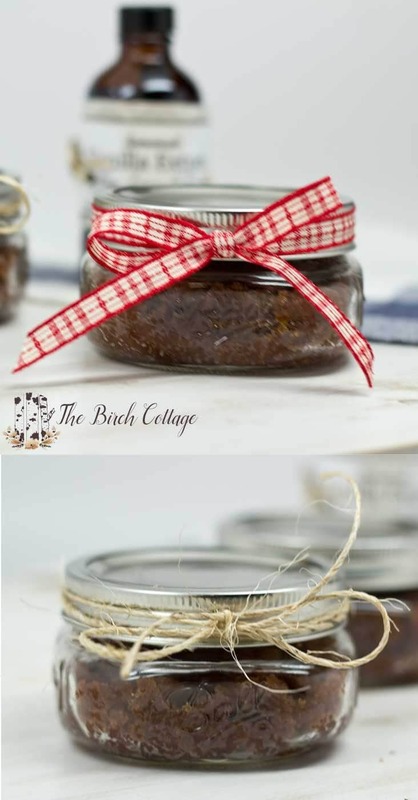 Once you have the lid securely on, simply tie some twine or ribbon around the jar. I made the labels available as a free download in PDF format. 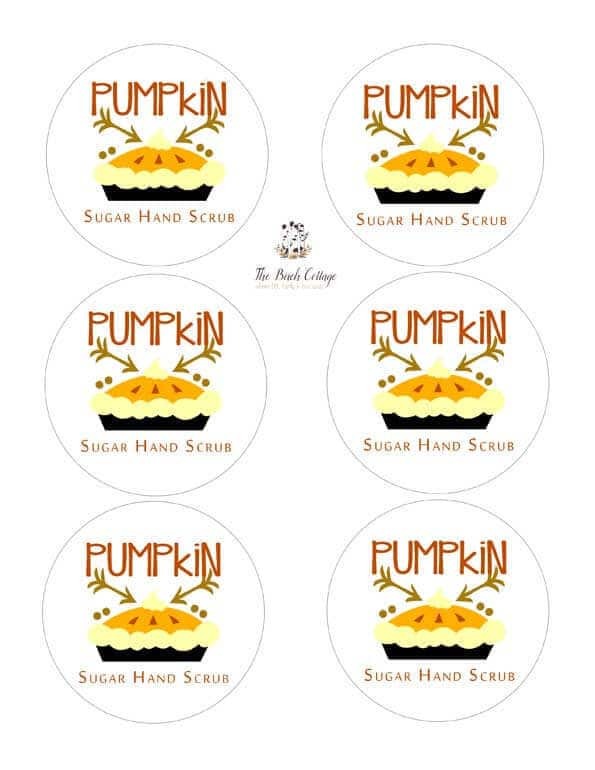 Simply click here to download your free copy of the labels for the Vanilla Pumpkin Pie Spice Sugar Hand Scrub. I was wondering how far in advance can you make this and how long will it keep? Melissa, you can make this sugar scrub as far in advance as you’d like as the scrub has a shelf life of about one year. doesn’t the brown sugar get hard. I made some last year with brown sugar and it became hard as a rock. 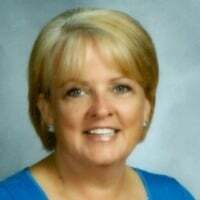 Debi, I’ve made a few batches and “most” of the time it didn’t get hard. But it is subject to getting hard if you get any water in the scrub. 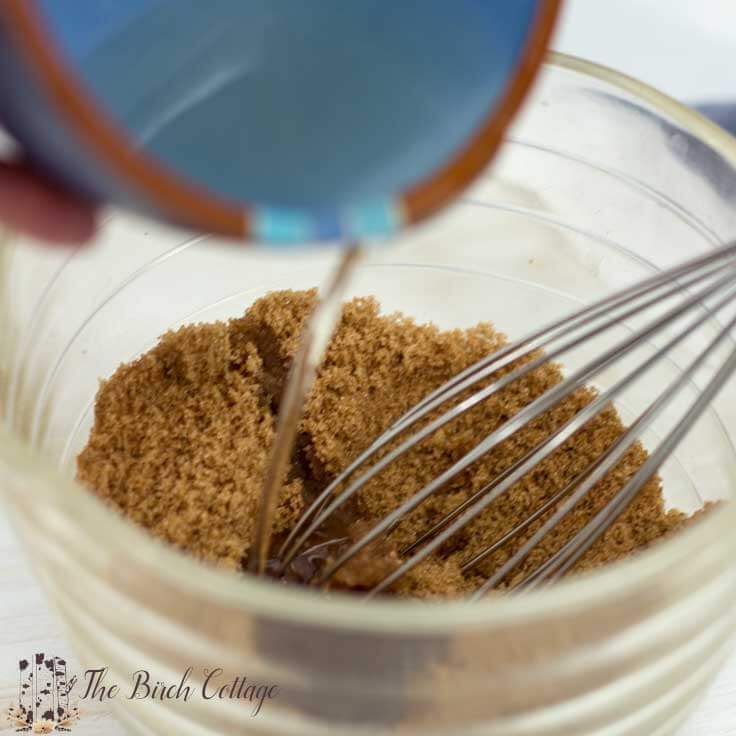 I usually make smaller batches of the brown sugar scrub for this very reason. It’s also helpful to use a spoon to scoop out the scrub and keep moisture away. Hope this helps. By the way, if you’re gifting the scrub, those little wooden ice cream spoons are perfect for the scrub!